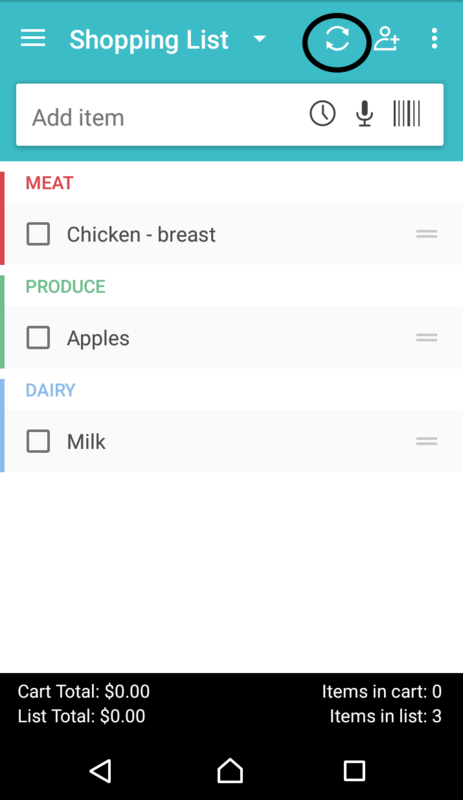 Alexa, ask Out of Milk! It never hurts to manually sync your data! You always want make sure you sync before sharing a list with another user. Once you're ready to share your list, we've got a tutorial ready to show you how! Knowledge ahoy. 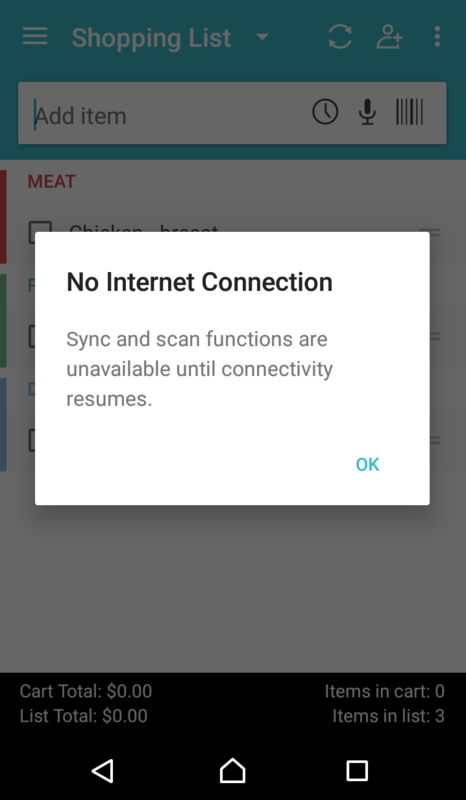 If you are not connected to a data network/wifi when you try to manually sync, you will see a pop-up notifying you that the sync feature is unavailable. In this instance, your information was not saved. Please check your device's data/wifi settings to reconnect.